CS:GO original map creator: Spence! High quality port for CS:S of awesome atmospheric same-named map from CS:GO by Spence! (RabidMonkey). 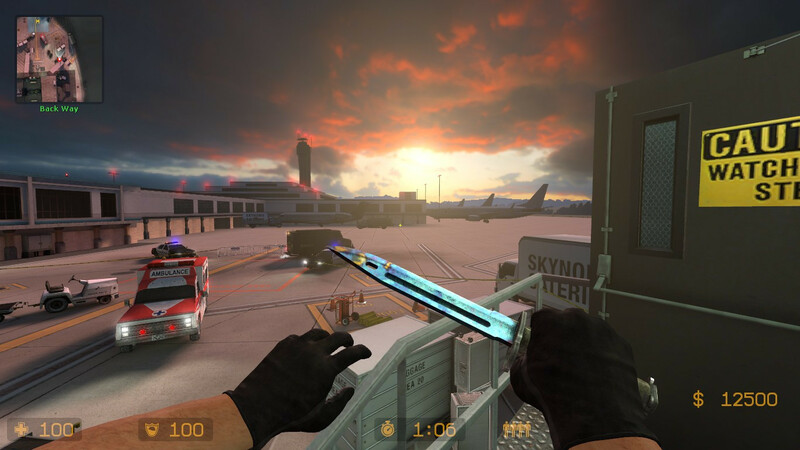 "Hijack" was inspired by unforgettable official map cs_747 from classic CS, but features a new layout and original custom content. Terrorists have taken control of a chartered jet carrying foreign dignitaries in this hostage rescue scenario. Several hostages have been released, but negotiations to release the remaining have stalled. A SWAT element has been mobilized and given permission to retrieve the remaining hostages.